Water Zone has several Reverse Osmosis systems and one Ultrafiltration system that are available for pilot studies or on a rental basis. Units are available designed to produce various gallons-per-minute rates and your choice of filtrate flow percentage recovery rate. Units are built for use in both industrial and municipal pilot projects. Water Zone local or factory representatives can provide lease rates and specific capacities based on your site-specific criteria and requirements. Membrane cleaning can be done at the customer’s site with various chemicals available from Water Zone. 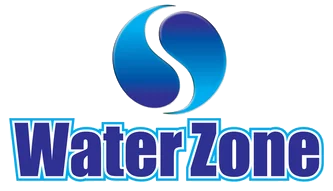 Water Zone also offers off-site membrane cleaning as a convenient service to its customers. Water Zone utilizes several different membrane cleaning methods, such as forward flush and reverse flush combined with chemical cleaning. When a forward or reverse flush is applied, membranes are flushed with feed water or permeate. The feed water or permeate flows through the system more rapidly than during the production phase. Because of the more rapid flow and the resulting turbulence, particles that are adhering to the membrane are released and discharged. These particles can only be removed through backward flushing. When membrane performance has not restored itself sufficiently after flushing, a chemical cleaning process can be applied. During a chemical cleaning process, membranes are flushed using either low or high pH cleaning solutions, depending upon the nature of the foulant. Other cleaners are used when typical cleaning does not return the membrane to normal specifications. In all cases, the membranes are tested prior to cleaning, and the results discussed with the client. That way membranes are not cleaned that may be found to be irreparably damaged when tested. All private wells use ground water. If polluted ground water is consumed, it could cause illness. Ground water pollution can be caused by seepage through landfills, failed septic tanks, underground fuel tanks, fertilizers and pesticides, and runoff from urban areas. It is important that private ground water wells are checked regularly to ensure that the water is safe for drinking. Typically, private water systems that serve no more than 25 people at least 60 days of the year and have no more than 15 service connections are not regulated by the EPA. Water Zone will check and test ANNUALLY for mechanical problems, cleanliness, and the presence of certain contaminants, such as coliform bacteria, nitrates/nitrites, and any other contaminants of local concern, (for example, arsenic and radon). Carbon Filtration for removal of organics and odor and improve taste and quality. Reverse osmosis treatment for the whole house, leaving drinkable water at every tap, and dramatically reducing total dissolved solids. UV disinfection and ozone as well as Ultra filtration for bacteria water. Household water treatment systems are composed of two categories: point-of-use and point-of-entry. Point-of-entry systems are typically installed after the water meter and treat most of the water entering a residence. Point-of-use systems are systems that treat water in batches and deliver water to a tap, such as a kitchen or bathroom sink, or an auxiliary faucet mounted next to a tap.